Last week at HITS Balmoral Park, talented Hunter Riders from all over the country gathered for the Derby Jubilee; a day of competition featuring three Hunter Derbies and a VIP Derby Luncheon. 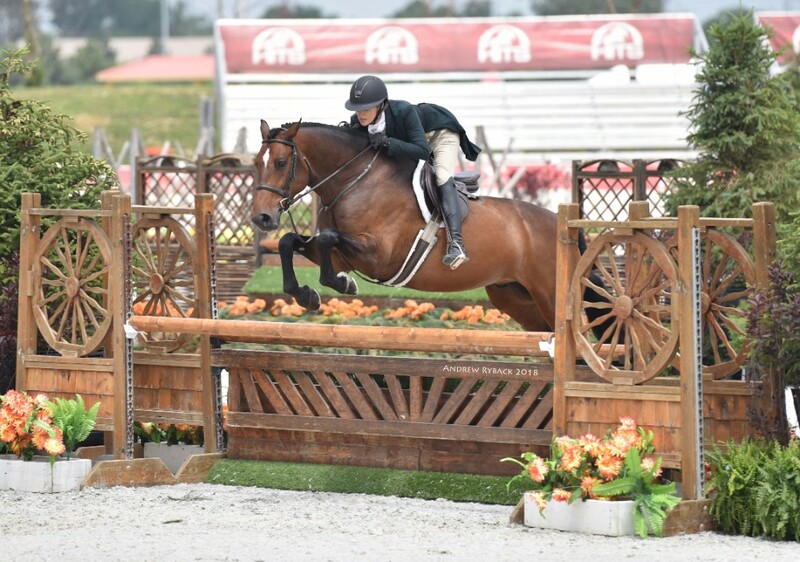 The $10,000 USHJA National Hunter Derby started the day off in the Grand Prix ring. 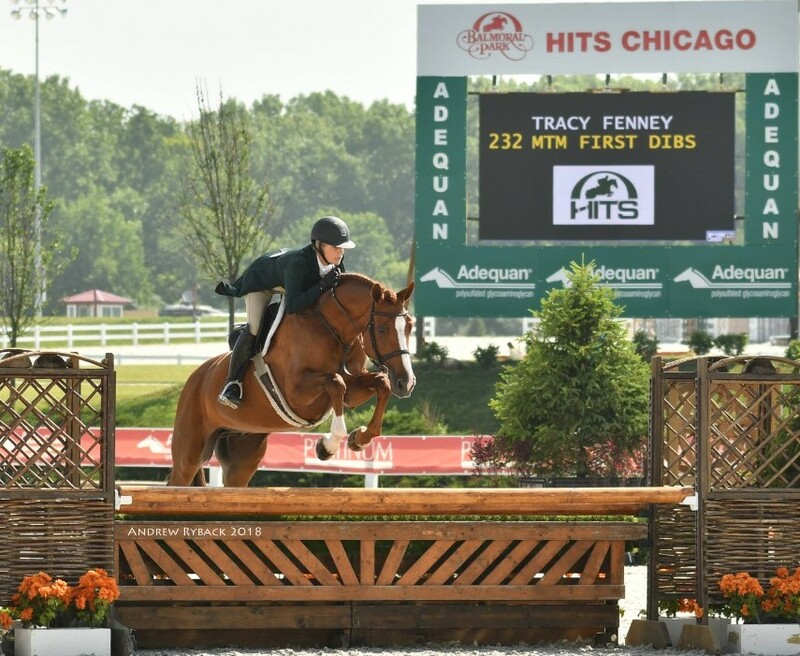 From MTM Farm, Tracy Fenney rode to a first place finish aboard MTM FIRST DIBS after a beautiful Hunter Classic round and a skillfully maneuvered Handy Hunter round, totaling a combined score of 182. Dorothy Douglas was less than one-half of a point behind after the second round, taking second place aboard S & L LION KING with a combined score of 181.5. Third was awarded to Douglas Boyd and AT ONE'S WORD with a combined score of 176. Brian Moggre was fourth aboard MID KNIGHT MEMORIES with a combined score of 173 and Tiffany Hammack was fifth with GT 40 and a combined score of 165. Tracy Fenney and MTM FIRST DIBS, winning the $10,000 USHJA National Hunter Derby. 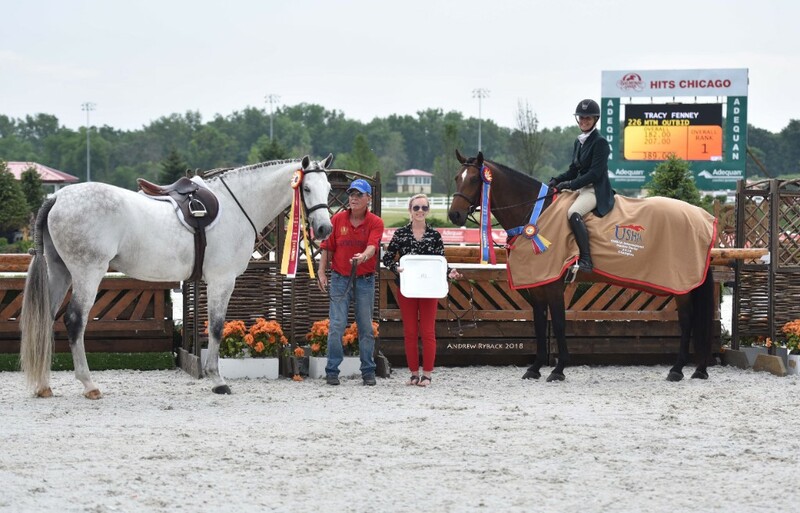 Hallie Moss aboard TRAINING WHEELS, winners of the $2,500 USHJA Pony Hunter Derby. 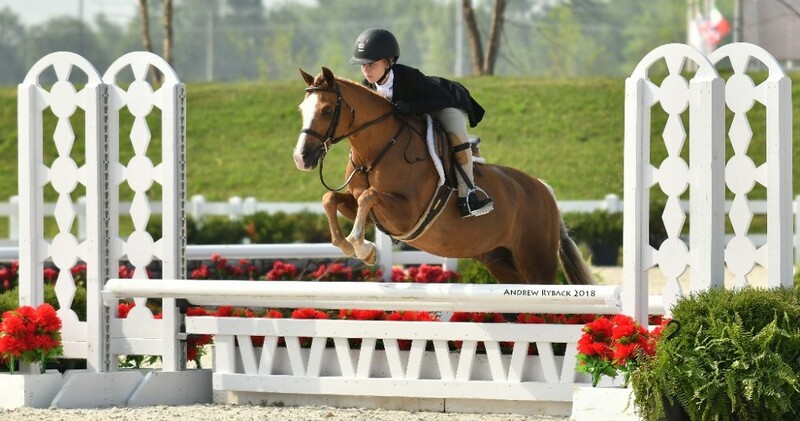 The $2,500 USHJA Pony Hunter Derby was next in the ring with some of the toughest, and arguably cutest, competition. Hallie Moss was awarded first place after two beautiful rounds aboard TRAINING WHEELS with a combined score of 161. In second was Maya Thomas and UNTIL TOMORROW, just a few points behind Moss with a combined score of 154. Third was Kaitlyn Lancelle Bates aboard HAPPY DAYS with a combined score of 150 and also fifth aboard OLIVER TWIST with a combined score of 129. Alexandra Miller was fourth with TOP THAT and a combined score of 147. Tracy Fenney, taking both first and second in the $25,000 USHJA International Hunter Derby. The first round of the $25,000 USHJA International Hunter Derby went off without a hitch and with several talented rides. After a round one score of 184, Boyd was sitting at the top of the placings, followed very closely by Fenney in second and third. Moggre sat in the fourth spot, with Haylie Rolfe in the fifth. Adrenaline ran high in the second round, as only one would come out on the top. The Handy Hunter course proved difficult for some, but Fenney came through the course twice with stunning rounds, awarding her the top two spots, placing first aboard MTM OUTBID and second aboard MTM SILVER ALERT with combined scores of 389 and 377, respectively. Boyd's Handy Hunter round was still enough for third place aboard CALIDO'S SON and a combined score of 372. Following in Fenney's footsteps, or hoofprints if you rather, also from MTM Farm, Dorothy Douglas placed fourth with MTM ONE TIME and a combined score of 357 and Moggre took fifth aboard MTM ON POINT with a combined score of 344. Stay tuned for the next Hunter Derbies at both HITS Chicago and HITS Saugerties later this summer! Visithitsshows.com for more information and follow our social media accounts below.